Violence and harassment against women in the world of work is not just a Hollywood issue — it&apos;s a global issue. More than one-third of the world&apos;s countries have no laws prohibiting sexual harassment at work, leaving nearly 235 million working women vulnerable. This is not working. At this momentous time in history, women around the world are shattering the secrecy and silence around abuse in the workplace. 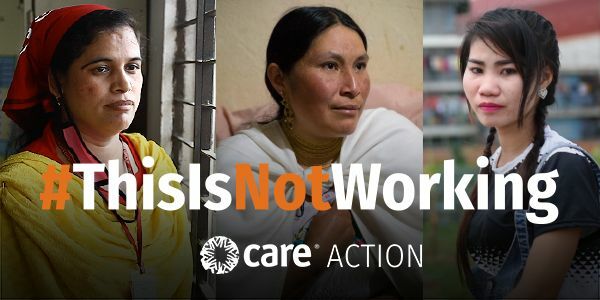 In June this year, the 183 countries that make up the International Labor Organization (ILO) have the opportunity to end this crisis by passing the first-ever global treaty – in the form of a convention - to end workplace violence and harassment. Take a stand today in support of women and girls to live a life free from violence everywhere. Join thousands of voices worldwide and call on global leaders to adopt the new ILO Convention to end violence and harassment in the world of work.